The diggers seem to have two especial propensities, those of firing guns and felling trees. Object 7 is a pepperbox pistol, c.1850, on loan from Heritage Victoria. It was excavated from an old mining shaft on the Eureka gold lead in Ballarat. It has revolving barrels and was designed mainly for self-defence. 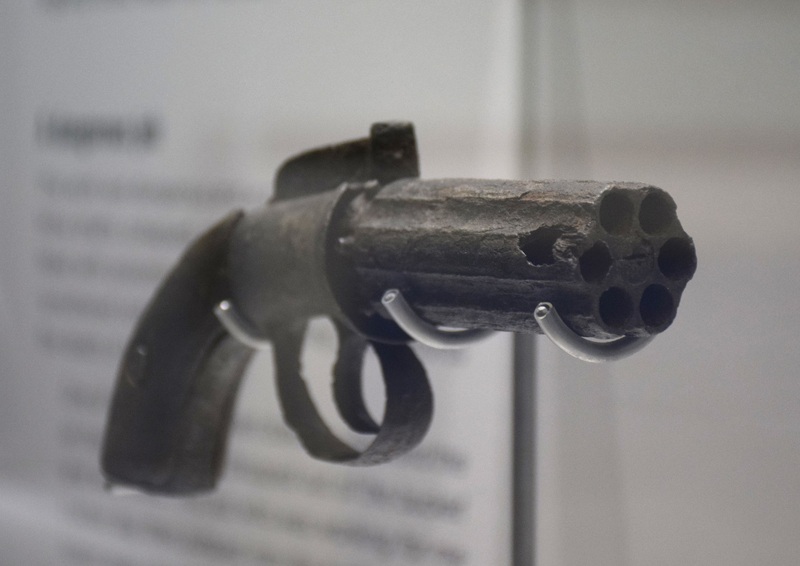 Read more about the pistol and the work involved in its conservation in an article by Barbara O’Brien, Richard Garcia and Susan Lawrence – Curious Matter for Contemplation - published in Australasian Historical Archaeology in 2005.